The truth is that there are quite a lot of different components which need alignment in the overall scope of work when it comes to the overall deployment of a project. We live in a dynamic environment and it’s particularly challenging to ensure that everything is perfectly synced and works as a whole. That’s when the Project Scheduler steps into the picture. When there is more than one person involved in a project, it becomes increasingly hard to coordinate and to put exact time stamps and deadlines. This is why time scheduling is particularly important. 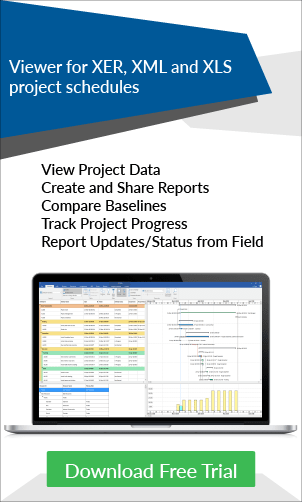 The biggest challenge for a Project Scheduler is to keep proper track of the time. In order to do so, he needs to accommodate a range of different metrics to ensure that everything is held to the highest industry standards. Having this in mind, it’s important to understand that the advancement of modern technology has allowed us to implement and integrate contemporary solutions which allow Project Schedulers to tackle these types of challenges a lot easier. Now, it’s impossible to say that it’s easy but at least with the implementation of contemporary solutions, it’s a lot more convenient. This is something that adds quite a lot to the overall process of project management. However, time tracking on its own is a very challenging endeavor. That’s why we’ve decided to provide you with 5 tips on how to handle it properly. The following is going to allow you to understand the importance of this endeavor and to ensure that everything is handled as per the highest industry standards. Time tracking is usually a challenging endeavor and it becomes even more daunting if you are working with a remote team. With the tendencies in the world of employment, outsourcing is becoming a huge thing and this means that the chances of you working with a remote team are rather significant. With this in mind, let’s take a look at some of the most useful tips for you to track the time management of your remote team and ensure that it meets the deadline. There are quite a few different tools out there which are available for you to properly track the time distribution of your remote team. The software is going to provide you with the chance to track every minute of progress and determine how your team is doing with keeping the deadline. Time Tracking is incredibly important but you shouldn’t get it confused with micro-management. The ability to track the distribution of time amongst your remote team does not deprive them of the freedom that they have to distribute it as they see fit while micro-management means that you are doing it for them. Different time traffic tools are going to provide you with a proper chance of observing the overall process and how the project is developing. This would allow you to track down inefficiencies and make sure that they are cut down in order to ensure the meeting of the set deadline. One of the things that you have to consider is informing the remote team that you are working with that you are going to be using a certain time tracking software. This is particularly important because it would eliminate the feeling that you are spying on them. While it may sound a bit strange, you’d be surprised at how people react when they understand they are being tracked in any form of way. You need to make sure that your employees are properly trained in order to be taking full advantage of said tools. They need to know how to effectively file progression reports in order to keep you posted in real-time. This is going to ensure that everything is done perfectly and as intended and it would provide you with the chance of ensuring that the deadlines are properly met Even if something comes up and delays the project, you’d be capable of knowing in advance and undertaking actions accordingly. With this in mind, these are just a few of the things that you might want to implement and take into account in order for everything to be handled as per the highest industry standards. This is something of tremendous importance and you need to ensure that you take it seriously. Proper time management is going to ensure that your projects are handled accordingly and that there are all the necessary ingredients for a successful project. The truth is that proper execution is no longer enough to drive a project to a successful end. People want results but they also need them quickly. That’s what you need to take into account. With this in mind, it’s important to understand that time tracking is not only valuable – it’s absolutely essential. In order to meet tight deadlines, and you most certainly will have to do so, you will need to take the aforementioned into proper account. This is going to ensure that everything is handled as per the highest industry standards – something which is particularly critical and requires quite a lot of consideration. However, should you employ those strategies and tips, you will be capable of handling everything exactly as it should be and you wouldn’t experience the complications which are related to issues of this type. You will also be capable of allocating resources appropriately which is of tremendous importance for the overall conduct of your team. This is definitely to be considered and implemented as soon as it’s possible. ← How does a PM’s deadline day look like?